Volker Hartung is regarded as one of the most colorful personalities in the music scene today. His unmistakable conducting style, great musical sensitivity and skill in handling orchestras as well as soloists make his Concerts unforgettable events, which he enhances with his witty and famously entertaining announcements to the works performed. His several decades of experience as an independent manager of ensembles have taught him how to form orchestras and to make them financially and artistically viable in the face of various obstacles. 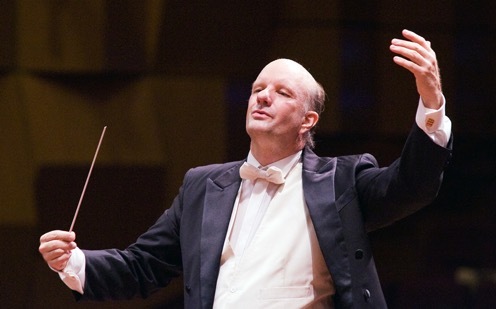 Volker Hartung is an accomplished symphonic conductor specializing in musical and artistic development of global symphonic orchestras with over thirty years of experience impacting major musical institutions through orchestration of European classical Romantic style and sound. He is able to nurture musicians into positions that leverage their talents to maximum effect. Hartung is an organizational leader, highly capable of coordinating musicians from diverse backgrounds. His lectures on music history and performance technique are internationally renowned. Volker Hartung assumed the position of principal conductor of the Cologne New Philharmonic Orchestra in 1986 and is today still active as its Artistic Director.